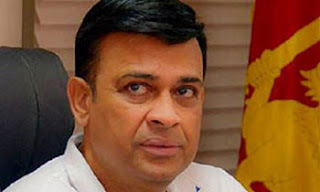 Deputy Minister Ranjan Ramanayake yesterday said he would disclose details of a million dollar scam, with regard to Sri Lankan Cricket in Parliament next week. Mr Ramanayake told the Daily Mirror that this scam could be worse than the Bond Scam. He said the scam involved fixing of matches and broadcasting rights. He said some cricketers and others had provided him with all the details and he had a whole file full of details. “These cricketers and others have requested me to disclose details of this scam and therefore I will do in Parliament next week,” he said. “Those, who one could hardly imagine would get involved in scams, have got involved in it. Several members are also involved in it,” he added. Asked as to when he would reveal the details of those who have obtained cash from Mendis Distilleries belonging to Perpetual Treasuries Chief Arjun Aloysius as he said earlier, the Deputy Minister he said he would do that when he gathers all the details.